Happy birthday wishes are even better when homemade! Brighten someone's special day with a cute butterfly birthday card that you and your child can colour and decorate yourselves. 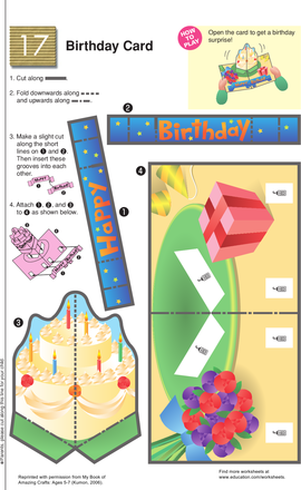 Create your own envelopes to go with homemade cards by Clicking here. Just cut out the colorful butterfly and add a lollipop for the head!